I think 'Great!' is the word to describe this band. 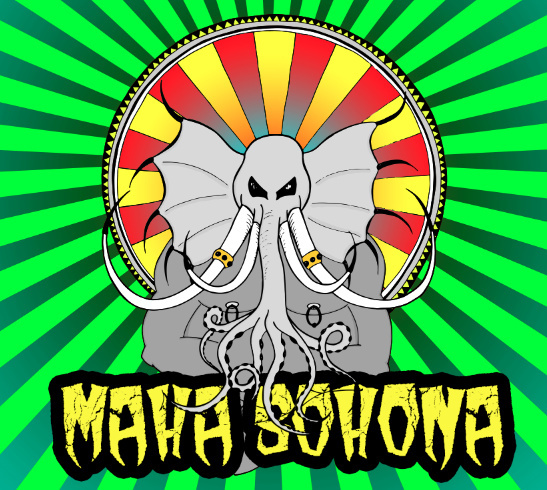 Formed in Umeå, Sweden in 2012 as a trio, Maha Sohona does a very inspiring psychedelic rock with a stoner aftertaste. And those mid-easternish parts make it so much more interesting! The name Maha Sohona has its origin in Sinhalese folklore, where it means a great graveyard demon. The band offers great vibes, tasty riffs and solos and good vocals, with the drumming fitting just right into the concoction. Going from beautiful mellow psychedelia parts to pleasantly sounding heavier parts, that really don't sound out of place or anything, as it tends to happen with some of the bands. To be honest, I really didn't have anything bad I could say about this record: guys have a good sense of where they're going, they have a good taste and the execution is spot-on. The album production is at great levels, specially considering this is a promo CD. Such solidness of collectives makes me a bit envious sometimes! 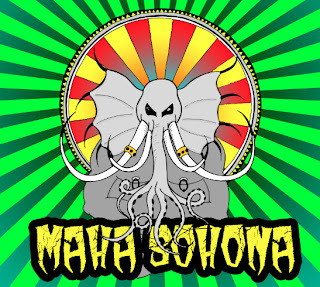 Inspired by such bands as Kyuss and Los Natas, Maha Sohona have released a promo EP with 4 tracks + a cover of The Heavy Eyes' "Voytek". The cover track is currently only available on SoundCloud and didn't make it on the album, because of the Scandinavian copyright policy that didn't allow 'em to, without paying a pretty penny royalties. Even though The Heavy Eyes were cool with them including it on their promo. So go check that out too! The following record was the result of their first attempt together at the studio, and what a result that is! They've told me that soon they're getting back to the studio to record some new stuff and are highly anticipating that moment. Well, what can I say - I am too! Guys are fresh and had troubles with internet connection, so there's not much links, but their music is available on both bandcamp and soundcloud (also includes the mentioned cover track).